Naturally, astronomers spend a lot of time looking up into the vastness of the cosmos. What if astronomy research could be conducted by looking down instead? Today’s astrobite demonstrates that something as common and lovely as trees can help us learn about the universe. Cosmic rays — the extremely energetic subatomic particles that are constantly colliding with our upper atmosphere — originate from many different sources. Some cosmic rays emerge from far outside our solar system, having been accelerated by supernovae (SNe), gamma-ray bursts (GRBs), active galactic nuclei (AGNs), and other high-energy astrophysical phenomena. A relatively low-energy variety of cosmic ray, called solar energetic particles (SEPs), are more local in origin. Instruments such as Cherenkov telescopes (among them MAGIC and VERITAS) probe cosmic ray physics by detecting the gamma-ray photons that are emitted when the particle travels through the atmosphere faster than the speed of light in that medium. Secondary showers of lighter particles (see Figure 1) are also triggered by cosmic rays hitting atmospheric molecules. Figure 1: The shower of particles induced by a cosmic ray colliding with the Earth’s atmosphere. Products include neutrons, positrons, muons, and pions. (Image under creative commons license, via Wikipedia). While humans are shielded from these energetic particles by our atmosphere, cosmic rays still affect the composition of the atmosphere itself. The paper we’re featuring today describes how scientists in China exploited this process in discovering a mysterious cosmic event that occurred over 5,000 years ago. Cosmic rays produce unstable isotopes when they ionize atmospheric molecules. For example, carbon-14 (of radiocarbon dating fame), is produced when cosmic rays generate neutrons that are then captured by nitrogen nuclei (via the reaction n + p + ). Carbon-14 is eventually photosynthesized by trees in the form of , which then shows up in their annual growth rings. Wang et al.’s study is not the first to discover a significant increase in cosmic ray activity with radiocarbon dating, but does report the most ancient event discovered to date, occurring during the years BCE 3372-3371. The sample showing this increase comes from a Chinese Wingnut tree (see Figure 2). Those of you up-to-date on your tree science may have noticed that the event described in today’s paper occurred prior to the birth date of the oldest known tree (3050 BCE). The sample indeed came from a tree that was buried underground and carbonized — not from a living tree. Figure 2: (Left) a Chinese Wingnut tree (photo by Wim Brinkerink), (Right, a-c) the decidedly less majestic sample of a buried Chinese Wingnut used in this study. Supplementary Figure 1 in the paper. By employing standard techniques for modeling the Earth’s carbon cycle (mapping the movement of carbon between the atmosphere, water, and biosphere), the scientists find at net excess production of equal to (7.2 ± 1.2) x atoms/ . This marked a steep 5.2σ increase of 9.4% in abundance between 3372 and 3371 BCE. A significant cosmic ray event is the only explanation attributable to this production rate. What, however, could that event be? Gamma-ray bursts, which we’ve discussed at length in other astrobites articles, are the brightest astronomical events in our universe. The energy released by a short GRB (sGRB) at several kpc would be sufficient to cause the observed increase in from BCE 3372 to 3371. However, the currently accepted event rate for sGRBs pointed at the Earth is one in every 100,000 years. 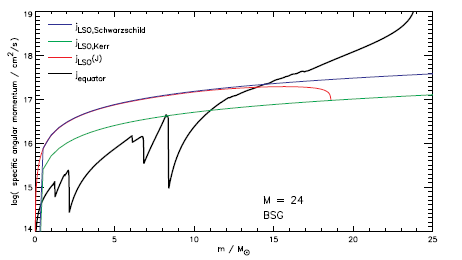 The authors conclude that the discrepancy between an sGRB occurring every 5,000 years and the accepted 100,000 year event rate is unacceptable. A second hypothesis, that the increase was caused by an SN event, seems plausible at first. The energy requirement to explain the observed event would mandate that the SN occur within 400 pc of the Earth. The Chandra Catalog of Galactic Supernova Remnants has five entries within this distance, finding one SN event (Vela Jr.) that occurred between 2,000 and 13,000 years ago. In order for this explanation to hold, about 1% of the SN energy would have to be emitted as gamma-rays; however, the actual rate is much lower than that. The authors therefore rule out the SN explanation. In the end, Wang et al.’s proposed culprit is a solar proton event (SPE). These phenomena are correlated with significant solar activity, like solar flares and coronal mass ejections. One notable example of an SPE is the Carrington event of 1859, during which a coronal mass ejection hit Earth’s magnetosphere directly. The collision caused light flares as well as shorted and disabled telegraph systems, causing some operators to feel electric shocks. Such an event in the modern era would be absolutely devastating, causing (in the US alone) trillions of dollars in damage. The Carrington event was about 70% as energetic as the BCE 3372 event at high particle energies; however, no increase in was detected that year. The scientists propose that a different energy spectrum may be the explanation for the lack of associated increase, concluding that the ancient event must have been phenomenally powerful. They confirm that the implied event rate of SPEs matches the known rate of solar superflares (about one every 1,350 years). More recent cosmic ray events that have been detected in the same fashion can sometimes be verified by looking at wood samples from other parts of the world; however, the authors were not able to obtain and study a similarly old sample. Conducting astronomy research by analyzing the growth rings of trees may seem like a wild fantasy, but this work encourages us to think “outside the telescope.” Many intriguing cosmic ray events remain to be discovered in yet-unearthed trees. While Cherenkov telescopes may be the cosmic ray tools of the present and future, ancient trees are a remarkable tool for studying cosmic rays of the past. 2012: My Favorite Doomsday Scenarios The Case of the Disappearing Star: Un-novae and Ultra-long Gamma-ray Transients Identifying Gamma-Ray Burst Progenitors The Christmas Burst: GRB 101225A Explained?